Sept. 5, 2017 - A recent study found that African wild dogs make group decisions by sneezing. When deciding whether to go on a hunting expedition, the more the dogs sneezed, the higher the chance the pack would head out. 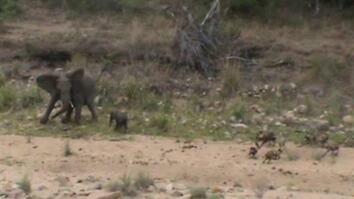 The researchers observed five wild dog packs in and around the Moremi Game Reserve in the Okavango Delta. They calculated that unless the top dog took charge, 10 sneezes were needed to guarantee a pack would leave. 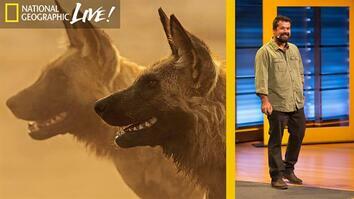 A recent study found that African wild dogs make group decisions by sneezing. the more the dogs sneezed, the higher the chance the pack would head out. 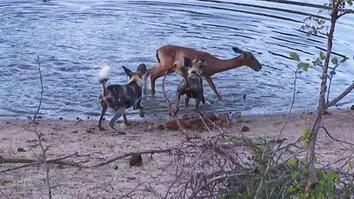 The researchers observed five wild dog packs in and around the Moremi Game Reserve in the Okavango Delta. They calculated that unless the top dog took charge, 10 sneezes were needed to guarantee a pack would leave.